As an employee, you may be able to deduct certain work-related expenses if you itemize deductions on Schedule A (which is worthwhile if your total itemized deductions are greater than your standard deduction based on your filing status). If you paid for out-of-pocket expenses related to your job during the tax year, many of these expenses may be eligible to be deducted on your return. However, in order to deduct unreimbursed employee business expenses, it must be ordinary and necessary expense for your job as an employee. If your employer reimbursed you for the expense, it cannot be included as an unreimbursed employee expense deduction. 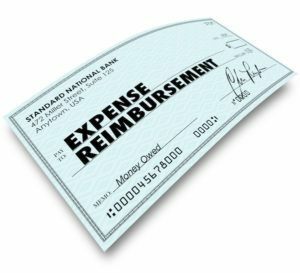 Likewise, if it is an expense that normally would be reimbursed by your employer, but you did not request, it is not deductible. Make sure you know what your employer’s reimbursement policy is. If the policy is to reimburse the expense, be sure to claim it. If your employer does not reimburse you for your out-of-pocket work-related expenses, you can deduct them as an itemized deduction. It is important that you keep records to prove the employee expenses you deduct. In addition, you should retain a copy of your employer’s reimbursement policy in the event of an audit. Recordkeeping is particularly important for job-related expenses, whether you seek reimbursement from your employer or take a deduction on your personal tax return. The IRS expects business expenses to be substantiated with documentary proof of the expense deduction. Adequate substantiation means that for each expense, you have documents, such as receipts, to show the description, the amount, the business purpose and relationship, and the date and place where the expense was incurred. Generally, you report unreimbursed employee expenses on IRS Form 2106 or IRS Form 2106-EZ and attach it to Form 1040. Deductible expenses are then carried forward to IRS Schedule A, as a miscellaneous itemized deduction. Miscellaneous itemized deductions are deductible only to the extent that they exceed 2% of your adjusted gross income.